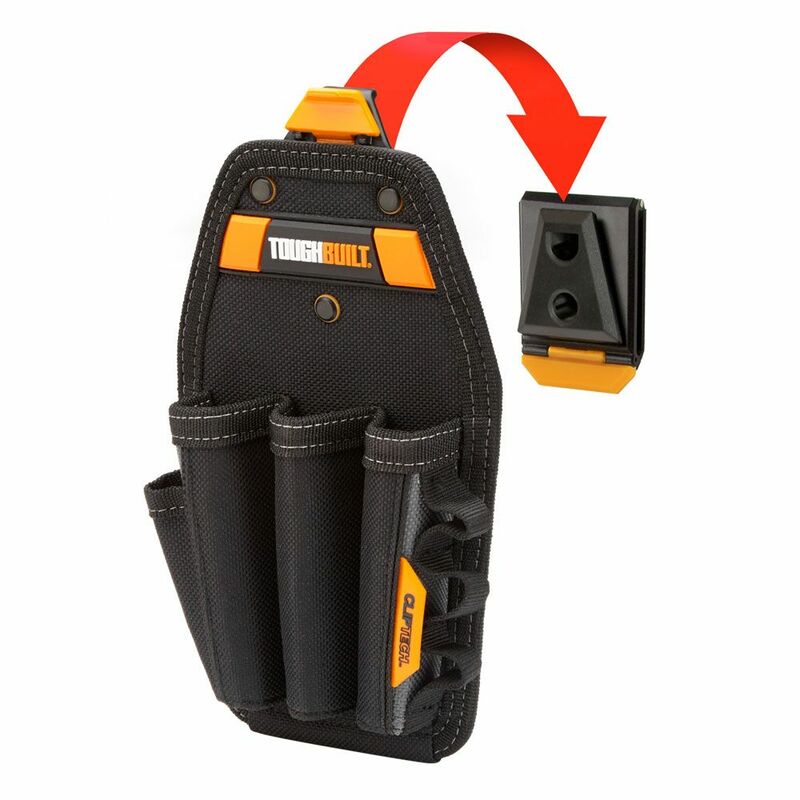 The ToughBuilt Screwdrivers Pouch transforms how professionals carry their screwdrivers. The patented ClipTech Hub allows this pouch to clip on and off any belt. Works great alone, or combined with any ClipTech tool belt. Its 3 tailor-fit screwdrivers pockets hold screwdrivers securely. With rugged 6-Layer Construction and heavy-duty pocket reinforcement this reliable pouch withstands the most rigorous working conditions. The DeWALT Accessory Pouch is constructed of ballistic poly material which provides strength and durability. The main pocket with double-pull zipper and small internal pockets provide multiple storage options while the small flap pocket with zipper allows you to secure change, keys, or small phone. Also included is a medium-sized pocket with hook & loop flap closure for added storage. Clips onto pants or pocket, or fits belt to 2 wide. As the name implies, the Leather Back Pocket Tool Pouch fits into your back pocket for quick access to your tools. The leather construction is stitched and riveted to ensure a good long life. Six pockets give you plenty of places to hold your tools including a scissors pocket on the back flap. Fits onto your belt in a snap. Screwdrivers Pouch The ToughBuilt Screwdrivers Pouch transforms how professionals carry their screwdrivers. The patented ClipTech Hub allows this pouch to clip on and off any belt. Works great alone, or combined with any ClipTech tool belt. Its 3 tailor-fit screwdrivers pockets hold screwdrivers securely. With rugged 6-Layer Construction and heavy-duty pocket reinforcement this reliable pouch withstands the most rigorous working conditions. Screwdrivers Pouch is rated 4.3 out of 5 by 11.